Soft and comfortable high vis sweater with cut transfer reflectors for optimal ability to move and breathability. 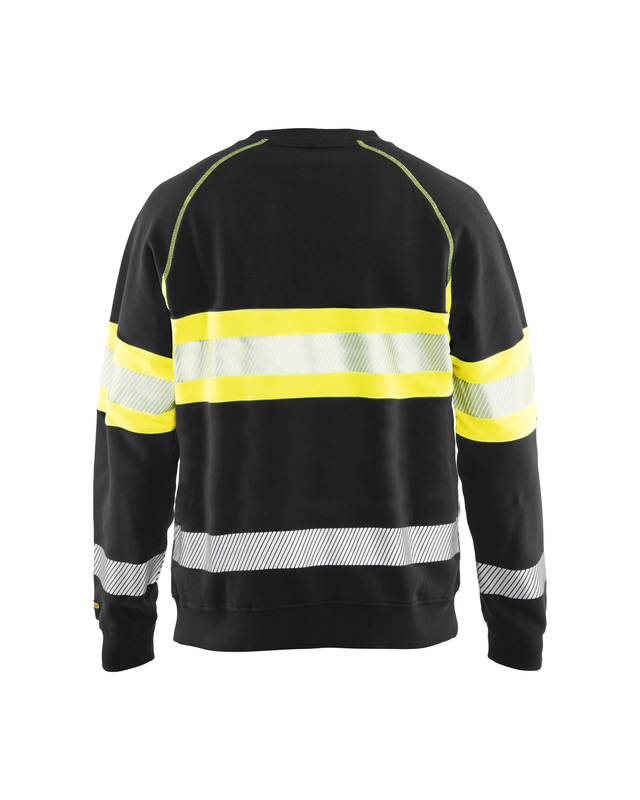 The dark area of the sweater consists of 100% cotton and the high vis area of 100% polyester. 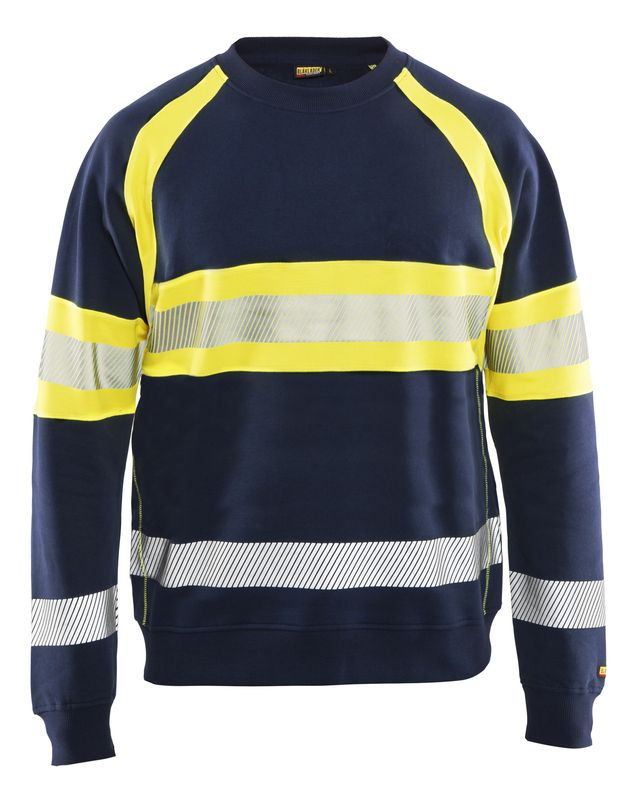 Round neck and ribbed hem and cuffs for better comfort. 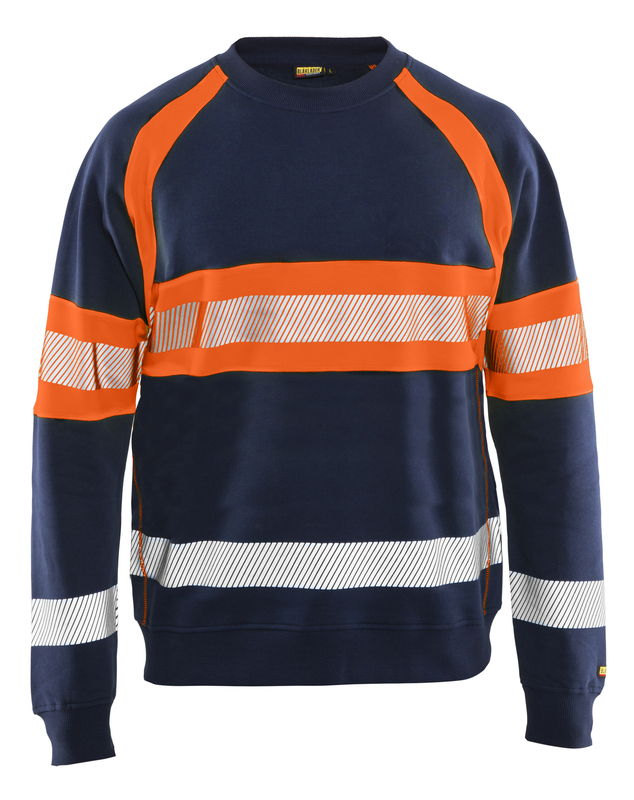 Certified according to EN ISO 20471, Class 1.